The Free City’s austere feudal history explains the city’s current freedom‑loving citizenry. After suffering under the long, harsh reign of the aristocratic Stross family, the people of Zobeck have little love for nobles or the institution of feudalism. They have vowed to never again accept a lord’s yoke. Instead, commerce and the ability of every man and woman to grab life’s wealth with gusto rule the Zobecker spirit. Free to make their way in the world, Zobeckers work to secure a living in whatever manner they see fit—though some occupations clash with the city’s laws—and answer to no one but themselves. Still, certain citizens are not as free as others. The kobolds fought alongside the rebels to emancipate Zobeck and thus gained a seat on the Free City Council, but the kobolds remain very much second-class citizens. They do not experience the same uplifting spirit of freedom as their dwarf or human neighbors, or even the gearforged. Those formerly flesh-and-blood beings now living in metal bodies hold more privileges than any kobold in the greater city. For all their help in the Great Revolt, the kobolds have been relegated to their own little ghetto and the most menial professions. Life remains harsh for the small folk who once steered their own destiny and mined freely in service to a proud kobold king of these lands. Kobold politics is obsessed with the futile effort to reassert their ancient claims to rule the city. The Free City Council, consisting of the Free Mayor Constantia Olleck and 11 other consuls, rules Zobeck. The sitting consuls choose the mayor from among their peers to serve a 10-year term, though some have held the position for life (either dying in office, or refusing to yield the position). Consuls serve 5-year terms. The Free Mayor oversees the administration of justice by appointing Zobeck’s judges, establishes and provisions the army, appoints all knight-commanders of the Citadel, and commands the Free City’s militant orders—except the paladins of the Order of the Undying Sun. The order predates the city’s independence, and this chapter of the organization serves only on the condition that their commander answers to no one “not of noble blood.” In practice, the Order of the Undying Sun acts as an independent military force. 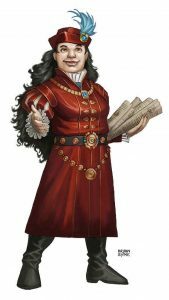 The newly chosen Mayor Constantia Olleck represents the growing dwarven influence in the city, though it has limits; she has sworn to serve a single 10-year term. She took over after the old mayor, Karillian Gluck, was asked to step aside by the shadow fey (and did, fearing for his life). Constantia showed great courage in commissioning several efforts to drive the fey out or at least limit their influence to the undercity and a few of the outlying districts. She speaks with the shadow fey ambassador, but the two will never be friends. Mayor Olleck is a cheerful, smiling, and hardworking dwarf who knows every alley, every tavern, and every honest (and less honest) person of influence in Zobeck. In her prior mercantile life as a mule driver, Olleck had a way of making any donkey follow her, gentle as a lamb, over rocks and declivities and through brambles; this, wags aver, was excellent practice for working with the Zobeck Council and the praetors (see the Zobeck Gazetteer). As a younger dwarf, she spent twenty years making a small fortune as a muleskinner, leading mule trains up to the Obertal Freehold and through the Silbertal into the Ironcrags. Bandit attacks were rare as she marched into the Ironcrags loaded with grain and timber and fine brass gearwork; on the way back, bandits attacked for her mule train’s silver and metalwork and sometimes bars of gold, which she usually brought safely back to the city forges, shops, and mint. To this day, matters of trade and banditry are uppermost in her mind, though she also has forged a strong alliance with neighbors against the Mharoti after the fall of Illyira. The other consuls serve 5-year terms, though many former office holders return to office time after time. Others remain until they receive a “silent office” (a retirement sinecure). Sitting consuls fill vacancies from among the city’s most prominent civic leaders, typically guildmasters, merchants, or powerful members of the priesthood— but once in a while, the consuls choose an adventurous individual seeking a quieter life. Former consul Lord Volstaff Greymark, master merchant, has withdrawn from his seat on the Free City Council and is busily expanding the Greymark trade routes into Morgau, to supply the hungry maw of Lucan’s army. Others in the city mutter he is selling the shroudeaters the tools to tear down Zobeck’s walls. He has also taken a position as Zobeck’s Master of Coin, collecting its various river tolls, road tolls, gate fees, and other taxes to expand the city’s roads, bridges, army, and fortifications. By tradition, the Free City Council includes the Guildmaster of the Arcane Collegium and the Kobold King of Kings. Ondli Firedrake, a dwarven priest of Rava (and Volund), has served as First Consul, or Council House Chairman, for 30 years. His consul peers selected him to guide the meetings, recognizing him as the most patient and fair-minded among them. Orlando, Guildmaster of the Arcane Collegium and Consul and member of the Free City Council, has withdrawn from many of the Collegium’s affairs and is spending many days of summer and fall with Aldona Silberhof (N female sorcerer 6), a whip-smart sorceress who serves as a Captain in the Runkelstad wands. While his enemies gossip about his lack of attention to Zobeck’s affairs, his friends seem pleased that Orlando has found an equal in arcane matters. Lector and Consul Radovar Streck, the city’s most famous alchemist, has been promoted to Lector of the Collegium, a title usually reserved for times when the Guildmaster is otherwise engaged. Indeed, he has promulgated a number of edicts in Orlando’s name when the titular Guildmaster is out of the city. He also seems to be investigating the alchemical properties of shadow with a handsome young shadow fey apprentice named Frost, and occasional visits from a dust goblin bringing needful items from Maillon and the Goblin Wastes. Sir Jorun Haclav, Field Marshall of the Free Army, Captain of the Zobeck Hussars, Consul, and Master of the Citadel continues to expand the hussars and has sent a company of 200 human light infantry to stand with the Magdar on the border of the Dragon Empire. Quetelmak, Kobold King of Kings and Consul to Zobeck, seems like a kobold king who might stick around for more than a season; he has weathered 2 years since his ascension to the position and consulship. This seat’s consul fluctuates with the rapid rise and fall of the Kobold King of Kings in the Kobold Ghetto. Melancha Vendemic is the golden‑voiced consul, capable of moving rhetoric in defense of causes of law and security. Her arguments are often carried out through mocking songs in the taverns, as much as discussion with other consuls. She has a great ear for what discomfits or worries Zobeckers. Kekolina of the Derry Mine is a long-serving kobold; rather an oddity, but she represents the mine gangs that provide silver and wealth to the city. She is honored among the mine gangs as having the ear of St. Piran, the local patron saint of miners. She keeps kobold interests always in view. Myzi I, called the Mouse King and Lord of the Undercity, is a consul and (most believe) a corrupt rogue. He has a drooping moustache and a twitchy nose, and he seems to always have the news from the docks, the smugglers, and the riverfolk. Few know that he is indeed a wererat, and lord of the rodents of Zobeck. Lady Wintesla Marack is beloved as a priestess of Lada for her healing of the poor and the sick. She is also a well‑connected merchant, selling timber, wool, and tin from Zobeck to the dwarves, the Magdar, and especially in Perunalia. The amazons of the duchy find it more congenial to do business with a woman, and so her oxcarts and barges carry much of the Zobeck trade to and from Perunalia. Halsen Hrovitz is the fourth of his name, and the Hrovitz family founder was once known as the “merchant to the noble House Stross” (an honor they’ve not mentioned in generations). Hrovitz deals in finished dwarven weapons and armor, as well as raw copper, flax, sheep, picks and mining tools, and (unusually for a human merchant) he also trades heavily with the kobolds of Lillefor for mithral, iron, and precious gems.